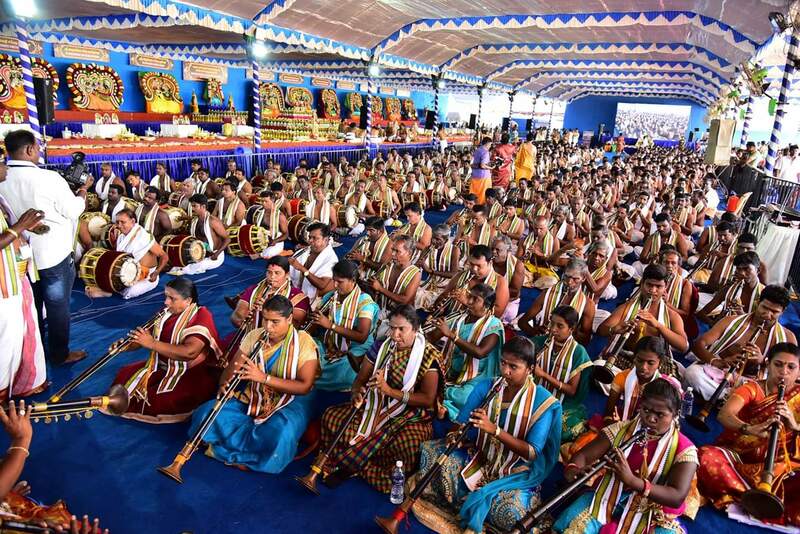 The record for the largest ensemble of Thavil and Nadaswaram ‘traditional classical instruments’ is 630, and was set by Yagnasri Kayilai Gnanaguru, led and headed by Dr. Sri Muralidhara Swamigal, Founder and Managing Trustee, Sri Danvantri Arogya Peedam, at Sri Danvantri Arogya Peedam, Vellore, Tamil Nadu, India, on March 16, 2019. 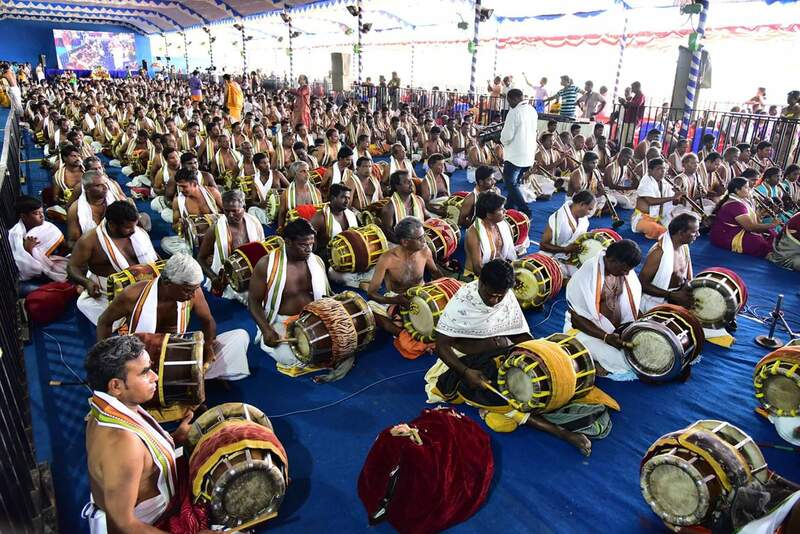 The total of 309 participants played Thavil and 321 participants played Nadaswaram for 30 minutes. Comments for LARGEST THAVIL NADASWARAM ENSEMBLE are now closed.